I love music. I LOVE love music. It's difficult to describe how I love music. I'm not a musician. I cannot sing a tune to save my life. But my life would be empty without music. A good song can (and often does) bring me to tears. My dad also loves music. My most vivid memories of him from when I was a kid are of him singing (Willie Nelson. Poorly but enthusiastically.) He had this bizarrely elaborate audio system (you had to flick, like, seven switches just to play a cassette tape) and he used to fill our home with music. 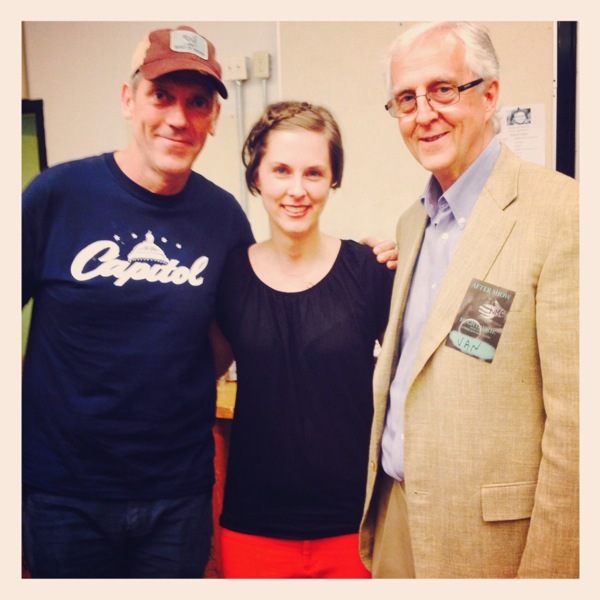 After the show, we got to meet Hugh Laurie (because my friend who works in the music industry is amazing and not only gave us free tickets and swag, but arranged a meet & greet too.) It was kind of a surreal moment. He signed an album for me and when I told him it was Hillary with two Ls he said it better end with a Y because he wouldn't two Es and I'm pretty sure that means we're married now. Or at the very least BFFs.